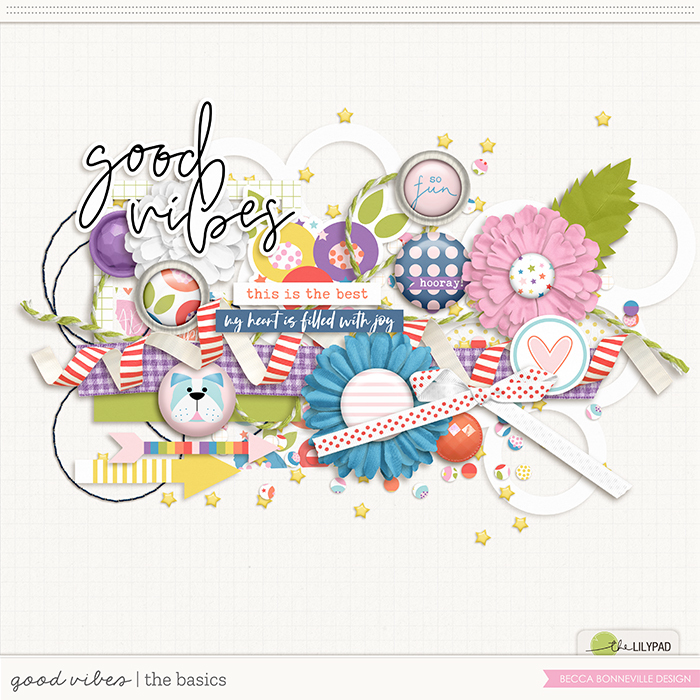 Sunshine & Grace is a digital scrapbook sticker and stamp set perfect for adding an extra touch to your photos or projects. 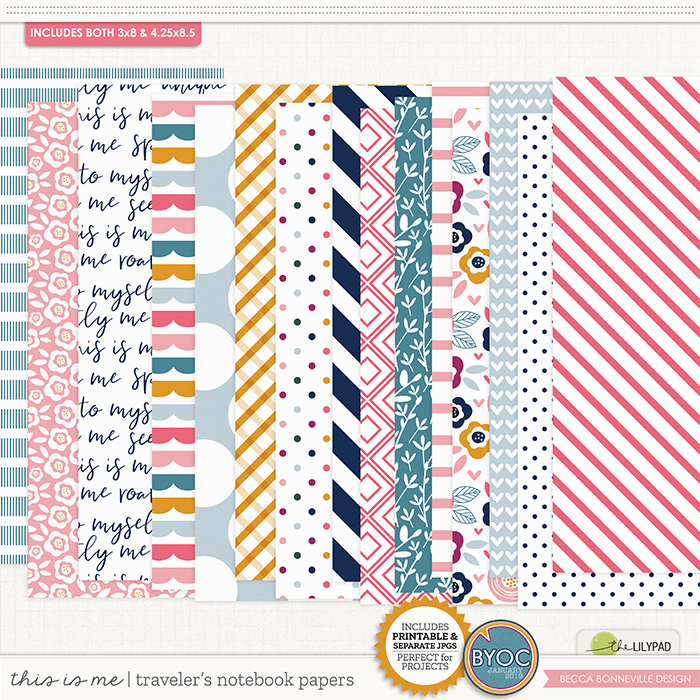 This combo set it so fun and is perfect for capturing your memories! 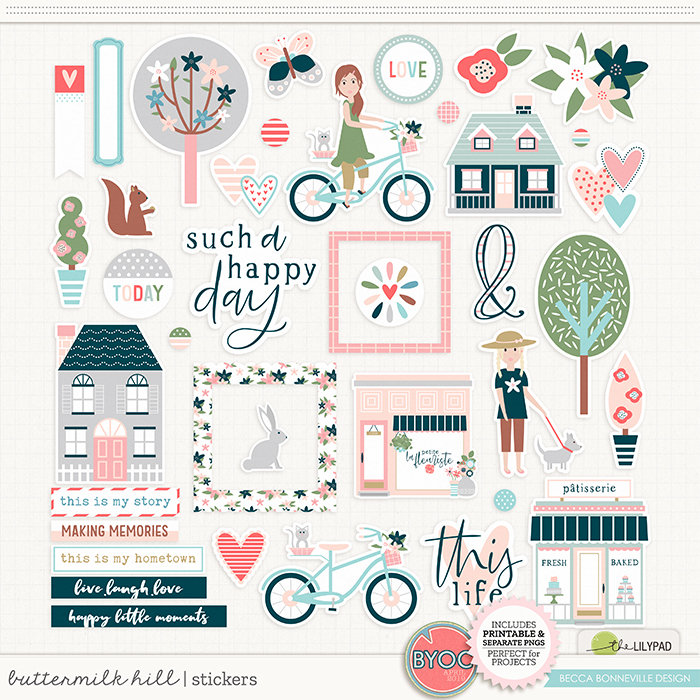 NOTE: The sticker portion of this set was previously released as a limited time newsletter freebie for the Love Our Designers event. 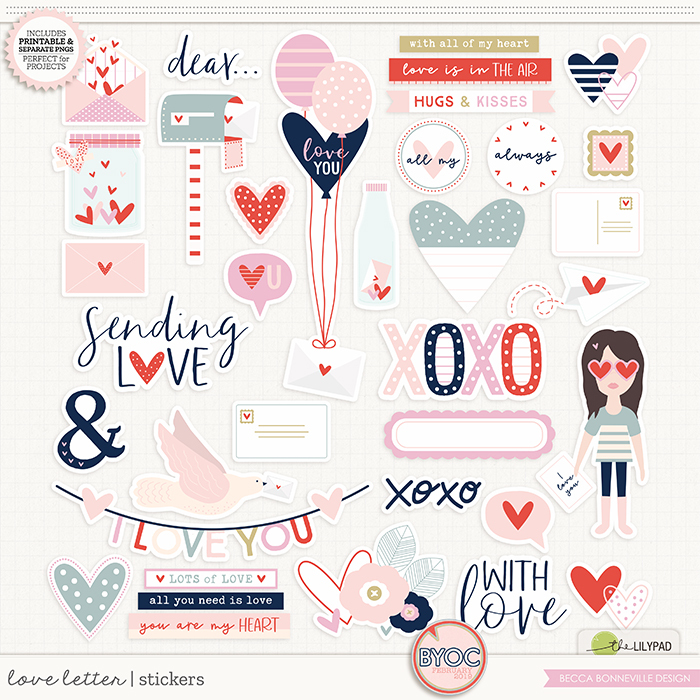 Love Letter Stickers is a digital scrapbook sticker pack filled with beautiful colors and fun illustrations. 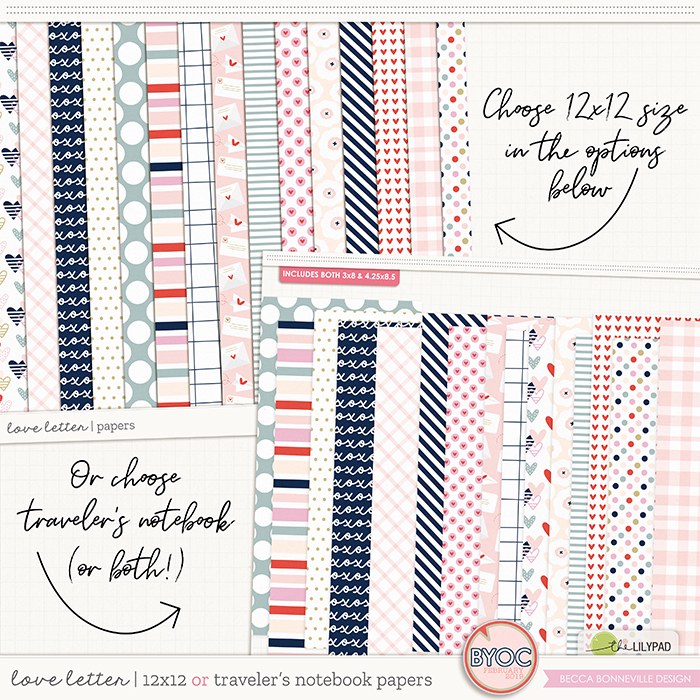 The stickers are perfect for just about any project with its versatile colors and patterns. 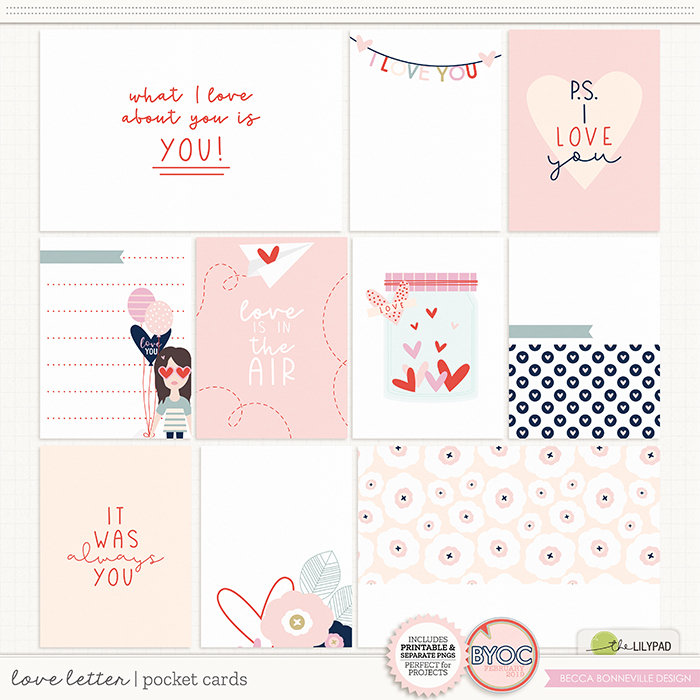 This sticker pack coordinates perfectly with the Love Letter collection and the February 2019 BYOC collection. 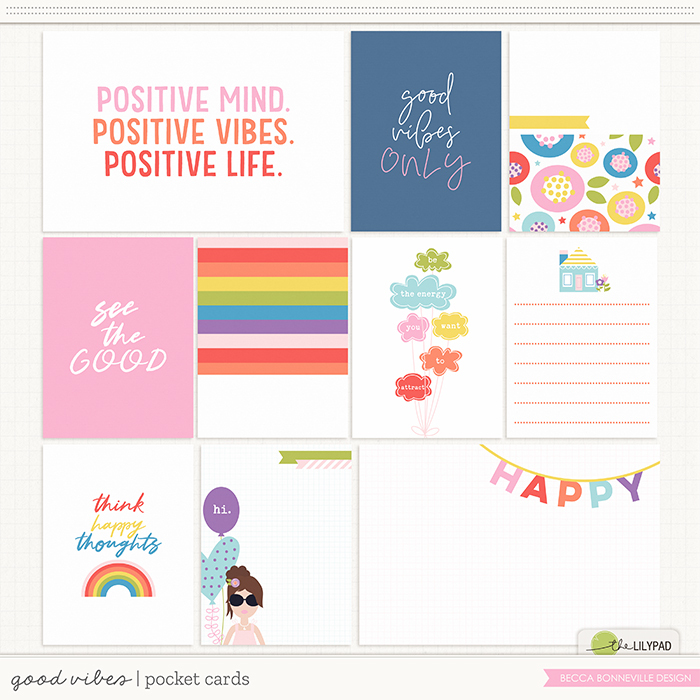 Good Vibes Stickers is a digital scrapbook sticker pack filled with fun rainbow colors and beautiful illustrations. 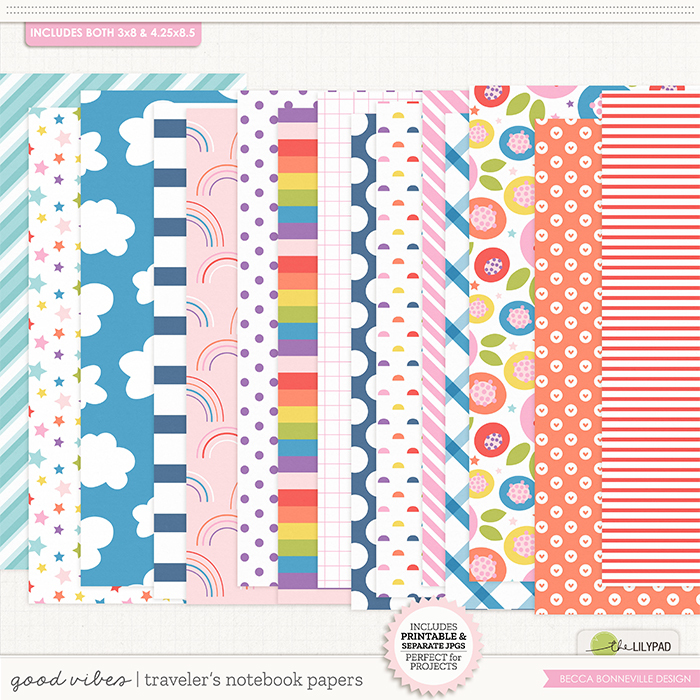 The Stickers are perfect for digital and hybrid albums, pocket pages and more! 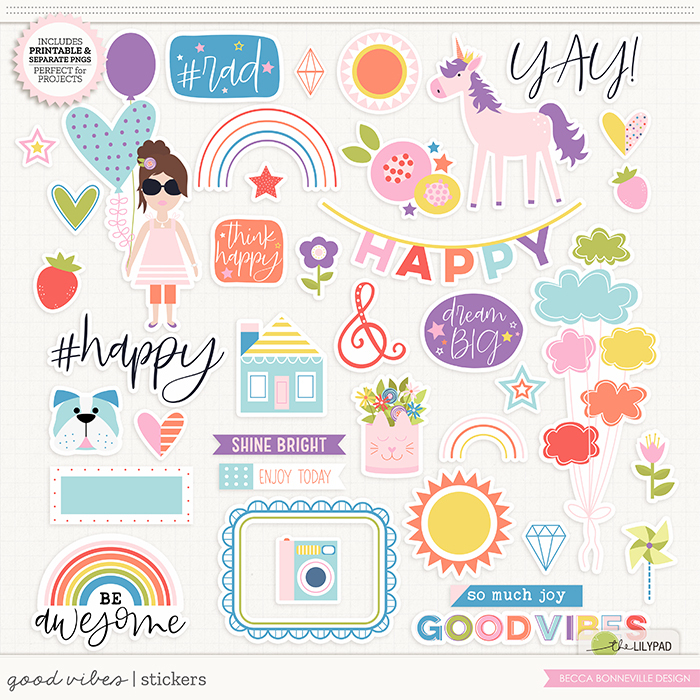 This sticker pack coordinates perfectly with the Good Vibes collection. 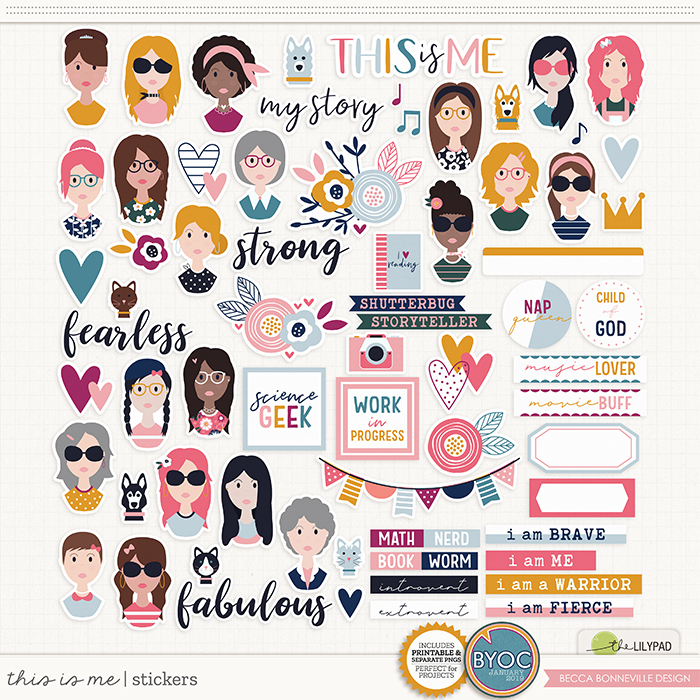 This is Me Stickers is a digital scrapbook sticker pack filled with bold colors and beautiful illustrations. 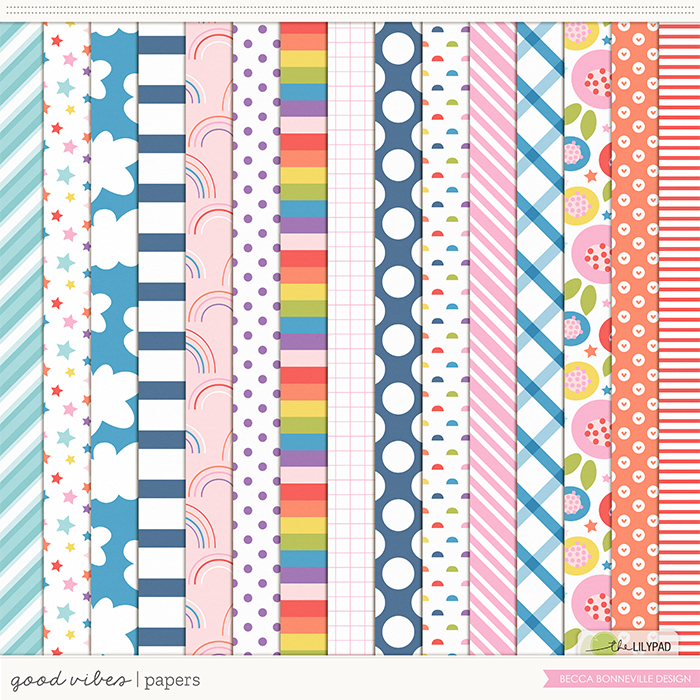 The Stickers are perfect for digital and hybrid albums, pocket pages and more! 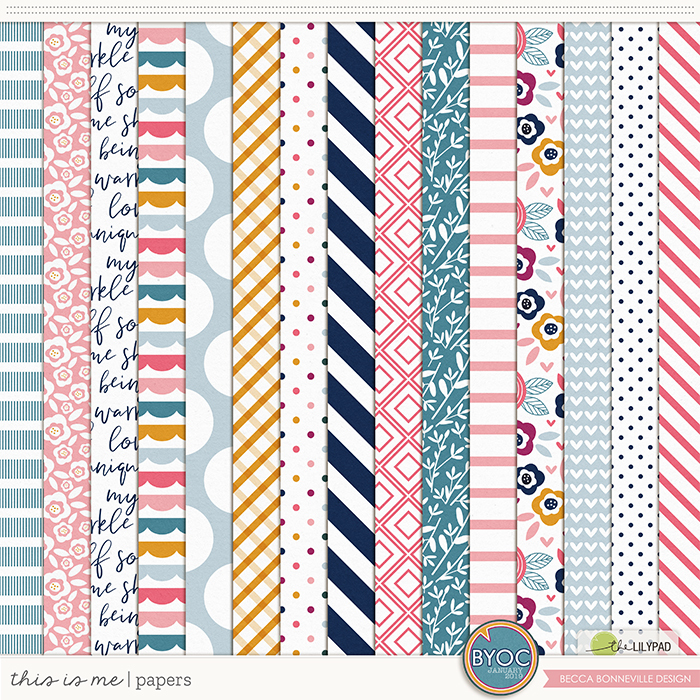 This sticker pack coordinates perfectly with the This is Me collection and the TLP January 2019 BYOC collection. 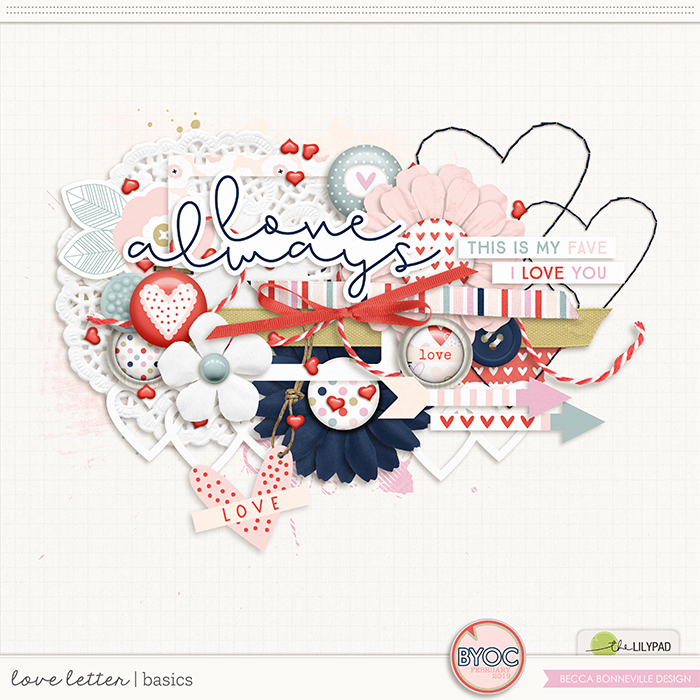 Inspired by the joy snowflakes brings to our lives, Snow Flurries digital scrapbook collection will make you want to go outside and have fun in the chilling weather with your loved ones. 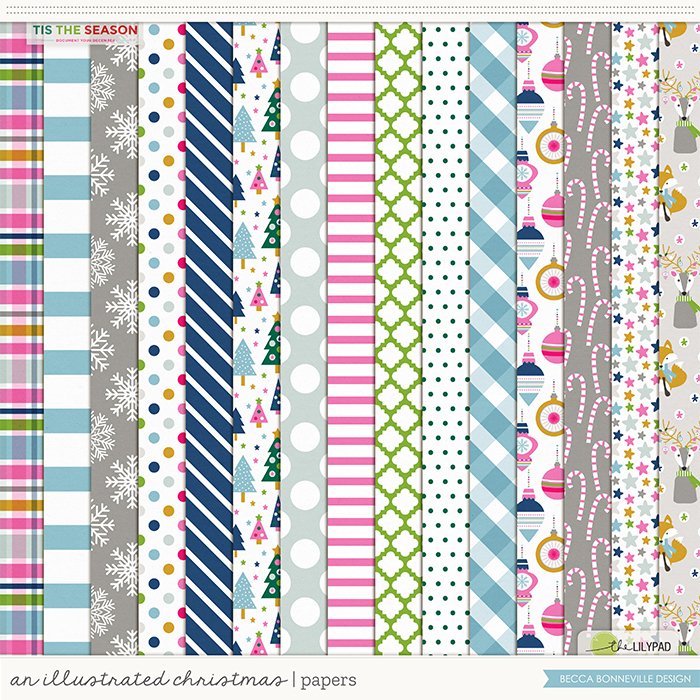 Shop Snow Flurries Illustrations by clicking "Add to Cart" button and start documenting your unique story today. 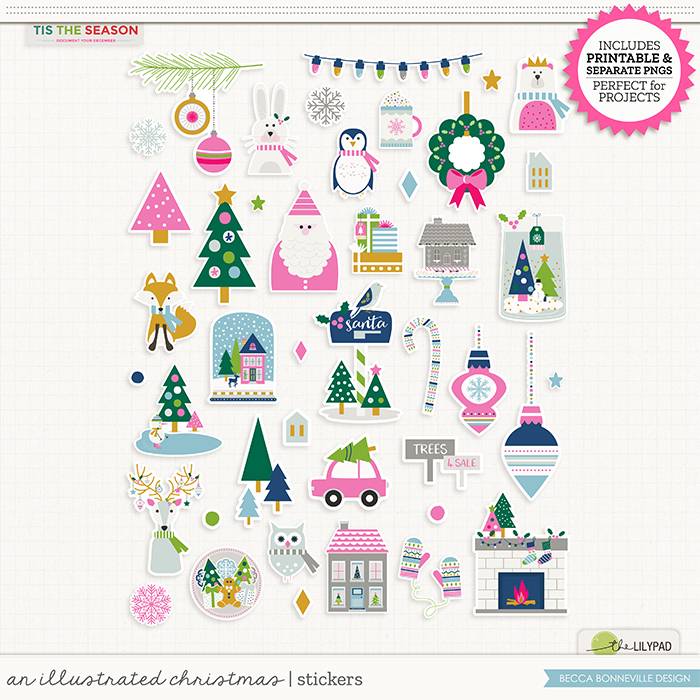 An Illustrated Christmas: Stickers is a digital scrapbook sticker pack filled with vibrant holiday colors and beautiful illustrations. 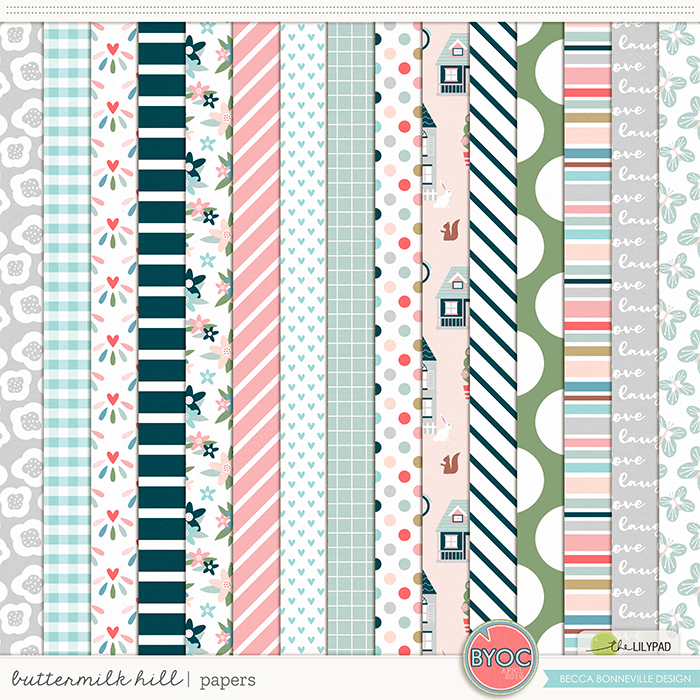 The Stickers are perfect for digital and hybrid albums, pocket pages and more! 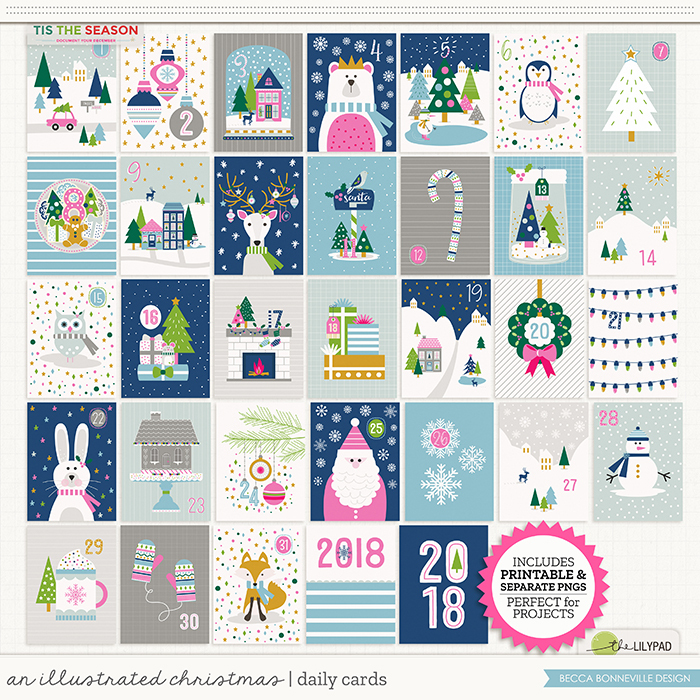 This sticker pack coordinates perfectly with the An Illustrated Christmas collection and the TLP 2018 DYD Collection. These Halloween themed tickets are just what you need to add a little bit of fun or a touch to your layouts.